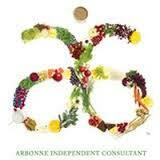 Arbonne has great nutrition and weight loss products and systems to make your programs more effective. Jeanie can book a class to explain the benefits or help you purchase products to enhance our work together. Arbonne allows for a various amount of assistance in creating a happier, healthier you. Laser Touch One helps relieve pain without drugs! It is an additional option to exercise and fitness in order to relieve some of the bodies added pain. This system can be used on various parts of the body, allowing for relief. Aliquam erat volutpat donec felis posuere.